Nature doesn’t stop, and neither will the termites, cockroaches, ants, ticks and other pests that threaten your home. Regular follow-up inspections and applications are the best way of keeping any problems under control. Setting up a maintenance plan can save money in the long run by preventing problems before they ever start. Once you have a pest problem, especially a termite infestation, extermination, cleanup and repair can cost a substantial amount of money. Contact us today for a free over the phone consultation in regards to setting up a maintenance plan. Local Pest Services also assist real estate agents, strata management, landlords, developers, builders, businesses and individuals in protecting your home, business and investment, because laying strong foundations for the future is vital. When laying a house slab it is imperative that proper pest control procedures are in place from the start. Local Pest Control is very happy to talk to builders looking for quality pest control assistance. Pre-purchase property reports are required from financial institutions such as banks and building societies to satisfy the lender that the property about to be purchased is free from termites, borers and wood decay. But they offer you peace of mind that your home or investment is not being eaten away. 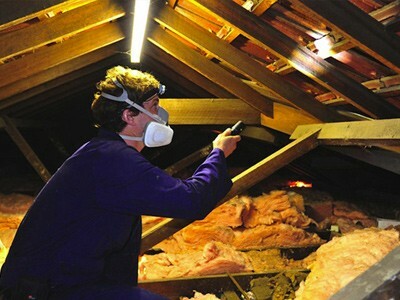 Millions of dollars worth of Australian homes are damaged every year ($80 million in 1994, NRA report), and only a thorough inspection from a trained professional can insure the safety of your home. Ian has termite specialist qualifications and over twenty five years experience in pest reports. He uses modern technical equipment, and the know-how that comes with experience, to make sure your home is protected into the future. Laying strong foundations for the future is vital. When laying a house slab it is imperative that proper pest control procedures are in place from the start. 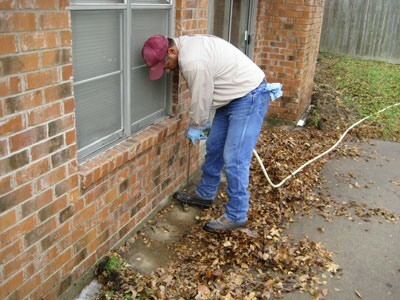 Local Pest Control is very happy to talk to builders looking for quality pest control assistance. It can save you a lot of money and headaches down the track! Contact us to discuss slab treatment on your new or existing property.